eFax is a close sibling to eVoice, seeing as how they are both part of the portfolio of J2 Cloud Services. eFax is a way to take faxing into the twenty-first century by sending and receiving faxes over email, smartphones, and yes, fax machines, this type of faxing is called Online Faxing. eFax also provides a number of neat features like fax-from-email, lifetime storage and access, and searchable faxes. One of the features of eFax that is going to be an important business tool is the Digitized Signature. Many documents, especially legal and medical documents, require a signature, and eFax has an easy way to do it. First, you sign your signature on a blank piece of paper. Then, you fax it to yourself. You scan and crop the image of your signature, and save it as a graphic that you can later add to any fax. Another feature sure to garner some attention is the mobile app, available for Android and iOS. Take a photo of your document, enter the number, and hit “send.” You can send up to ten pages at a time. You can also read your faxes on your phone, and with the latest “Retina” displays, you’ll be able to zoom in on the fine print. 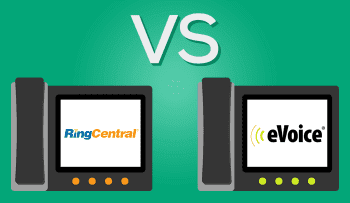 eFax is designed for business, and doesn’t have a pay-per-use model. Instead, you have your choice of two products, eFax Plus and eFax Pro, which can be paid month-to-month, or annually. eFax Plus has 150 pages per month both inbound and outbound (300 total), and costs $16.95/mo or $14.13/mo; eFax Pro includes 200 inbound and outbound, for a total of 400 faxes for $19.95/mo or $16.63. Both plans have a ten cent overage fee, include lifetime storage, and have your choice of a local or toll-free number. eFax Plus has a $10.00 activation charge, and eFax Pro has a $19.95 activation charge. The mechanics of internet faxing are a little different than analog faxes. 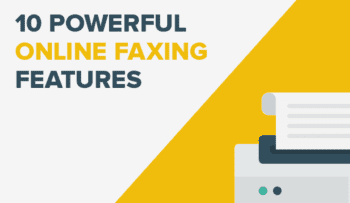 Although you get charged per fax in a general sense, you are actually paying for the time it takes to send or receive a fax, which is about one minute, but can be more or less depending on the detail of the image. A picture, for example, will take about twice as long as a document. eFax supports all of the major Microsoft, Adobe, and Open Office formats, and some graphic and text formats. 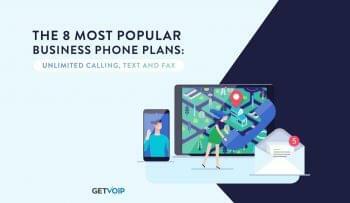 eFax, like eVoice, is going to be making waves in the near future, as small businesses adopt new business Voice Over IP technology that lets them be competitive with larger businesses with larger budgets.